Learn what keeps some of the country’s largest showgrounds ready for competition. Credit: Terri Miller The HITS showground in Saugerties, New York, hosts dressage events, including international CDIs. When you travel to a dressage show for the day or weekend, do you ever wonder what is behind keeping the grounds show-ready? With the cost of high-end footing and the amount of thought that goes into keeping horse and rider safe, it’s no wonder there are only a handful of world-class facilities available for international-level competitions (CDIs). Here are some of the costs and challenges faced by the country’s largest facilities. Although DAD rents the Pennsylvania-based showgrounds, it is responsible for the new footing that has gone in over recent years. Lori Kaminski, president and CEO of DAD, believes that if a showground is going to stay competitive, it must keep its footing up to standards. 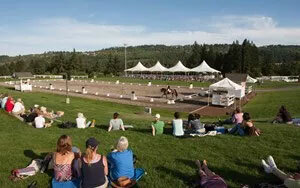 In 2010 and 2011, DAD replaced the old sand footing in both main arenas with state-of-the-art EuroFelt. 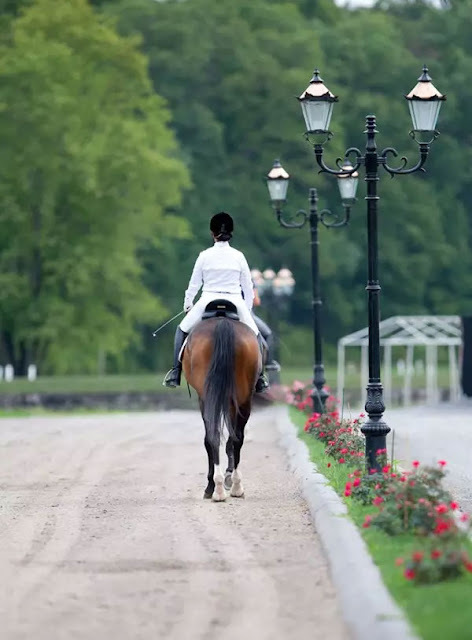 After that work had been completed, new USEF rules for footing stated that all CDI horses must be able to warm up on the same footing on which they will be competing. Fortunately, through many generous donations, DAD was able to raise the estimated $300,000 it took to replace the footing in the warm-up arenas to bring it up to the standard of the others. Thomas Struzzieri is the president and CEO of HITS, Inc., the largest hunter/jumper horse-show management company in the United States. In recent years, the Saugerties, New York, location has been rented for dressage events, including international CDIs. Struzzieri admits that there are challenges to running such large show facilities but the benefits far outweigh them. Credit: Mary Cornelius DevonWood Equestrian Centre in Sherwood, Oregon.